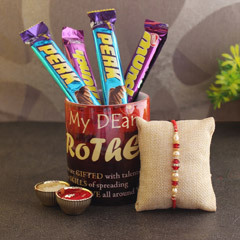 Do you want to make your little brother to giggle, smile and show off his Rakhi present to his friends? 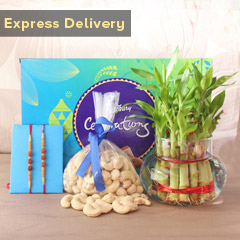 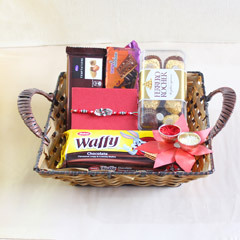 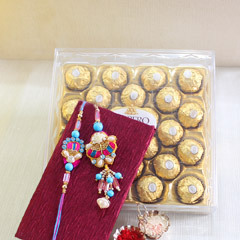 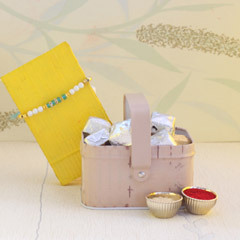 Do you want to send the perfect Rakhi present for your Bhaiya and Bhabhi? 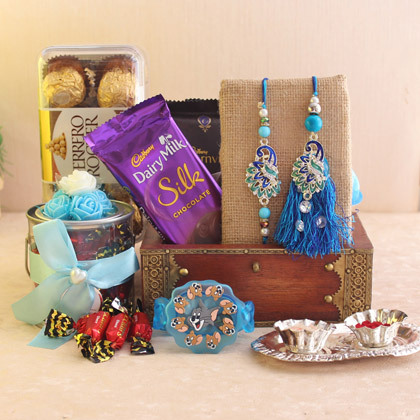 Here we have this lovely gift option that is inclusive of an attractive Tom and Jerry Rakhi and an elegantly designed Bhaiya and Bhabhi Rakhi that is also coupled with some chocolates and it allow you to send Rakhi gift for both your married brother and the little one together! 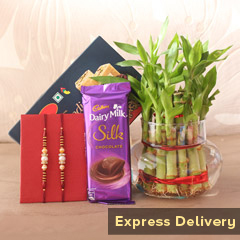 Order to avail the offer!